Before ESA's Aeolus satellite is packed up and shipped to French Guiana for liftoff in August, media representatives had the chance to see this wind measuring Earth Explorer satellite standing proud in the cleanroom. Like all of the Earth Explorers, Aeolus was built to show how cutting-edge space technology can shed new light on the intricate workings of our planet. 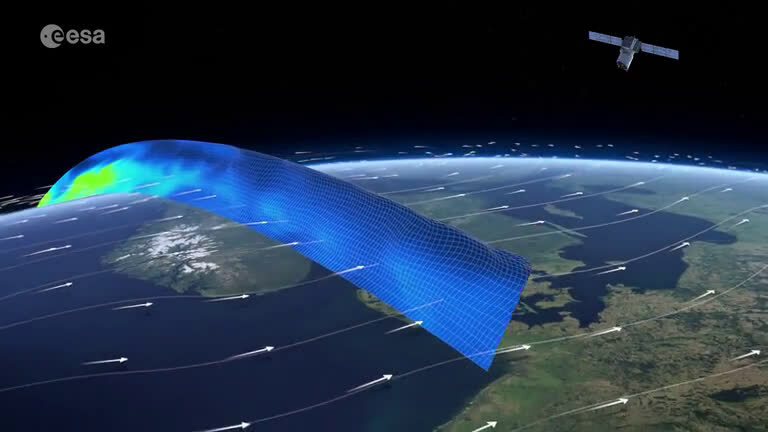 This pioneering satellite uses powerful laser technology that probes the lowermost 30 km of our atmosphere to yield vertical profiles of the wind as well as information on aerosols and clouds. This will not only improve our understanding of how the atmosphere works and contribute to climate change research, but will also help to predict extreme events such as hurricanes and El Niño. While Aeolus is set to advance science, it will also bring considerable benefits to society by improving weather forecasts. It goes without saying that accurate weather forecasts are important for businesses such as farming, fishing, construction, transport, energy exploitation and also for just planning our daily affairs. Although weather forecasts have advanced considerably in recent years, meteorologists urgently need reliable global wind-profile data to improve the forecasts even further. Currently information on the wind comes from weather balloons, ground-based instruments, aircraft, from tracking cloud movement and from satellite instruments that measure wind near the ocean surface. Aeolus measures the wind around the globe and delivers its measurements almost in real time, which is exactly what meteorological centres need to improve our forecasts. 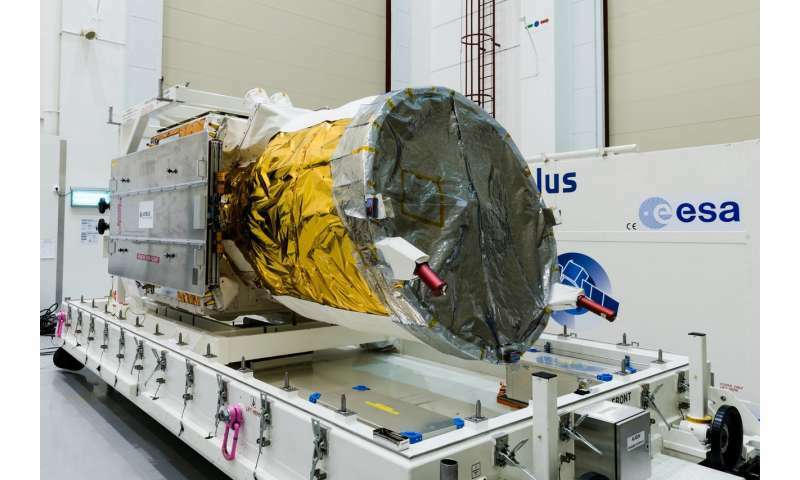 Carrying some of the most sophisticated space technology ever developed, it has taken some years to get this far, but now Aeolus is ready to be shipped to the launch site in Kourou, French Guiana for liftoff on 21 August. ESA's Director of Earth Observation Programmes, Josef Aschbacher, said, "We are very proud to see Aeolus here today at Airbus Defence and Space in Toulouse, France. "It has been a rocky road developing this incredible mission, but nobody ever said space technology was easy. Aeolus is a true first and we know that it is set to make a real difference to our understanding of the planet as well as have real world applications. "I am very grateful to everyone that has worked so hard to reach this point and we look forward to the next step, shipping and preparing for liftoff."